So while you rub your eyes and get accustomed to this strange blue sky, let our helpful guide get you on track and point you in the right direction for summer fun. And don’t miss our new batch of songs for your summer playlist! •The revving of a V8, the way the sun bounces off gleaming chrome…summer is the perfect time to admire local classic and custom cars and trucks at Auburn Cruise Night, held the second Friday of the month (through September) on Lincoln Way between 5 and 9 p.m. This free event promises fun for the whole family. For details, visit auburncruisenight.com. • Produce-wise, summer is like nature’s Christmas, with bountiful gifts at every turn. Find your local farmers’ market(s) and avail yourself of the delicious apples, stone fruit, berries, summer squash, avocados, and let’s not mince words: Do not miss the chance to get ripe, in-season tomatoes. They will change your life. In Rocklin, head to 6636 Lonetree Boulevard (RC Willey) on Saturdays between 9 a.m. and 1 p.m.; in Granite Bay, get your goods at the Quarry Ponds Town Center on Sundays between 10 a.m. and 1 p.m.; in Roseville, venture to Whole Foods Market on Tuesdays between 8:30 a.m. and 1 p.m.; in Auburn, head to the Old Town Courthouse Parking Lot every Saturday between 8 a.m. and 12 p.m. or to DeWitt Center on Wednesdays between 10 a.m. and 1:30 p.m. For more information, visit foothillfarmersmarket.com. • Enjoy art, dining and refreshments through historic Auburn’s Old Town and Downtown areas this summer at the Auburn Art Walk. The fun goes from 6-9 p.m. on June 14, August 9 and October 11, and showcases artists’ work in participating businesses; refreshments are served at many of the venues. For details, visit placerarts.org/artwalk. • What’s better than a park in the summertime? A park filled with music! Beginning June 8 and continuing every Friday through August 3, head to the Community Stage at Johnson-Springview Park in Rocklin from 7-9 p.m. for the Evening in the park Summer Concert Series under the stars on beautiful summer nights! Brought to you by the Rocklin Chamber of Commerce and sponsored in part by the City of Rocklin. • Exciting things are taking place every Tuesday night from now through July 31 in downtown Roseville. At Roseville Downtown Tuesday Nights you’ll find a certified farmers’ market, arts and crafts vendors, a beverage garden (beer/wine/margaritas), free concerts, DJs and live performances, a Classic Car cruise, as well as a secure Fun Zone for kids. The excitement takes place from 5 to 9 p.m. every Tuesday, with free admission and parking for all. For more information, visit facebook.com/DowntownTuesdayNights. • There will be love, peace, happiness and grateful pooches at the 5th Annual Woofstock – held at Johnson-Springview Park in Rocklin on August 26 – a free fundraiser for local animal charities. Bring your dog and join in the festivities with a Grateful Dog Walk, Weiner Dog Races, groovy bands, outta-sight vendors, far-out food, and prizes! (Just don’t eat the kibble, guys.) For more details, visit woofstocknorcal.com. • When you’ve got a world-class venue like Folsom’s Three Stages, it’s only fitting that you should have world-class entertainment all summer long. 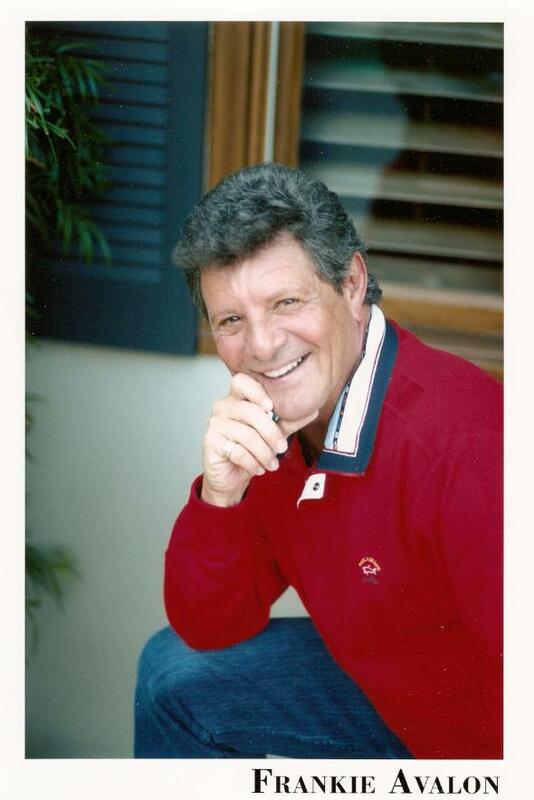 Kick off the season with the fantastic Summer Symphony at the Movies (pops-style program) presented by the Folsom Symphony on June 1 and 2; then on June 8, your guardian angel and mine, King of the Beach Blanket, and the original teen idol – Frankie Avalon hits the stage! Also worth watching is El Dorado Musical Theatre’s production of Honk! Jr. (July 6-8, 12-15 and 19-22). Check out more world-class upcoming events at threestages.net. • North Beach: the place the Beat Movement once called home, and home to some of San Francisco’s best Italian restaurants and oldest (and finest) drinking establishments. Any time’s a good time to visit North Beach, but on June 16 and 17 check out the 58th Annual North Beach Festival, featuring arts and crafts, gourmet food booths, beverage gardens and live entertainment spread over two blocks of Columbus Avenue. For more details, visit northbeachchamber.com. • In the mood for somethin’ off the beaten plank this summer? You’ll be wantin’ to set sail for the NorCal Pirate Festival, June 16-17 in Vallejo. Help the scurvy dogs celebrate their sixth anniversARRy! Is it Tortuga? Nay lassy, tis the Vallejo waterfront converted into Pirate Town! There’s plenty of entertainment, crafts and demonstrations for you to swash and buckle ‘til yer heart’s content. ARRRRR! Fun for pirates of all ages! For details, visit norcalpiratefestival.com. • Join artists and enjoy live entertainment, beer and wine, food from local restaurants, and a life-sized sandcastle on June 16 from 6-9 p.m. at Blue Line Beach Bash. Don’t miss the silent auction featuring work from local artists, and the raffle where you could take home cash prizes or a custom-designed surfboard. Proceeds from the fundraiser at Westfield Galleria will benefit creative arts programs and services in the community. To purchase tickets, visit rosevillearts.org. • The Fountains at Roseville kicks off its fifth annual Summer Concert Series on Saturday, June 9 from 8-10 p.m. and continues every Wednesday (7-9 p.m.), Saturday (8-10 p.m.) and First Fridays (6:30-9:30 p.m.) through the summer. Attendees will enjoy 33 nights of musical stylings – from classic, indie and Latin rock to jazz, country, R&B and more – in the ambience of Roseville’s ultimate outdoor shopping center. For the lineup and more information, visit fountainsatroseville.com. • Head to Sunset Whitney Country Club on June 9 from 1-5 p.m. for South Placer Rotary’s Brewfest, where you can sample over 20 different microbrews, enjoy live music and get your grub on. Proceeds will benefit the South Placer Rotary’s charitable efforts. For more information, visit southplacerrotary.org. • Dust off your pianos and dance on over to Sutter Creek for the 14th Annual Sutter Creek Ragtime Festival, running August 10-12. Featuring local favorites The Raspberry Jam Band among a huge variety of ragtime performers, including Squeek Steele, “Hot Rod Tommy” Tom Brier, Ray Skjelbred, Marty Eggers and more. Get ready to laugh and dance those summer days away! For details, visit suttercreekragtime.com. • Funnel cakes, corn dogs, deep fried artichokes and cotton candy - it’s FAIR TIME! More fried food than you can poke a stick at (or into), local crafts , animals to pet, and enough thrill rides for a lifetime…seriously, who doesn’t love the fair? Go to one, go to all of them! El Dorado County Fair (eldoradocountyfair.org), June 14-17; Placer County Fair (placercountyfair.org), June 21-24; California State Fair (bigfun.org), July 12-29, and Nevada County Fair (nevadacountyfair.com), August 8-12! • Sure, you could read your kids a fairy tale or two before bed. Or you could just spend the night at Fairytale Town! On Saturday, June 30, take the whole family to the Fairytale Town Family Campout at 5:30 p.m. Whose house? Humpty’s house! Enjoy a theater performance, arts and crafts, a scavenger hunt, bedtime stories and a sing-along in this magical overnight adventure. Awake under the beautiful spreading canopy of trees, just like you’re in a faraway land. For ticket information and more details, visit fairytaletown.org. • Hungry for Sacramento history? How about a stroll through Midtown’s Sutter District and the Fabulous Forties? Check out the Origins of Sacramento Walking Food and Cultural Tour, every Wednesday, Friday and Saturday from 10:30 a.m. to 2 p.m. through July 1. Learn about the culinary forces that shaped Sacramento and taste the city’s ethnic diversity by meeting and sampling chefs’ creations at some of Sacramento’s best hidden-gem eateries. Come get your fill of history! For more information, visit local-food-tours.com. 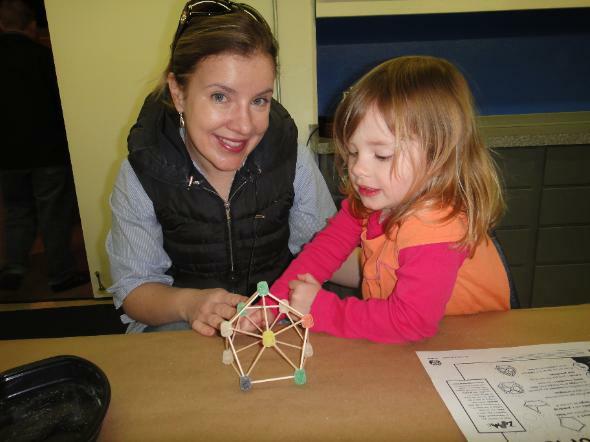 • Bring the kids to Discovery Museum Science and Space Center this summer! Enjoy make-and-take crafts at Family Craft Time every Saturday and Sunday from 12:30-4 p.m.; find your way around Sacramento’s night sky at Star Shows, Saturday and Sunday at 1 p.m. and 3 p.m. (for visitors 4 and up) in northern California’s only public planetarium; head to Nature Discovery Hall and take in a Wildlife Show every Saturday and Sunday at noon and 2 p.m.; and don’t forget to visit the Butterfly Garden or explore local flora and fauna in the museum’s surrounding woodland acres. So much to see, so little time! For more details, visit thediscovery.org. • Bears are coming to the Gatekeeper’s Museum in Tahoe City! Beginning July 1, the museum’s new exhibit Ursus Among Us: The American Black Bear in the Tahoe Basin, will be open to the public. Featuring a taxidermy bear, information about bear life cycles, an antique bear trap, replica skulls and claws to examine, craft projects and more – the exhibit is sure to please those young and old. For more information, visit northtahoemuseums.org. • Cool down on a summer’s day in the welcoming environs of the Crocker Art Museum. It’s not just for Mom and Dad – bring the kids! Check out the Crocker Tots program, including Baby Loves Art, Wee Wednesdays, Story Trail and Tot Land, an interactive space devoted entirely to families with kids 5 and under! 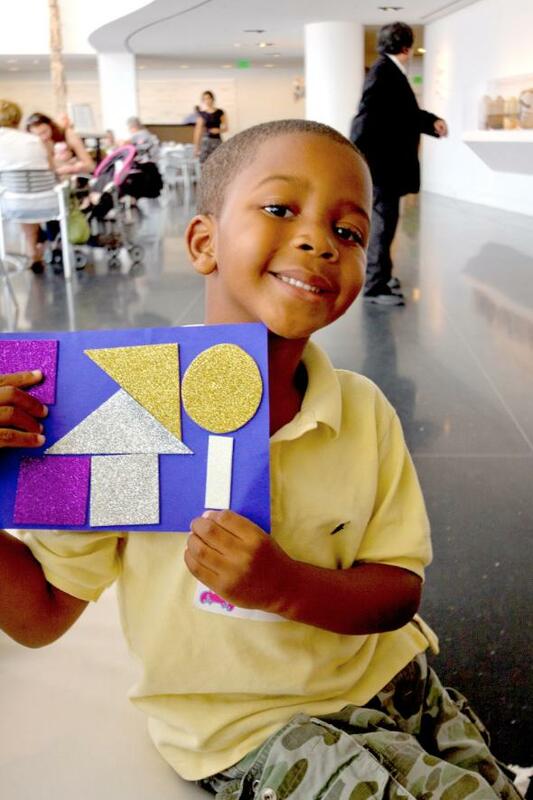 For bigger kids, check out the Crocker Kids program with art history classes, Art Camp and the Drop! Yak! Splat! program, which coincides with downtown’s Second Saturday Art Walks. For more information, visit crockerartmusuem.org. • Entertainment, farm fresh produce, music...it’s all happening at Grass Valley’s Thursday Night Marketplace and Street Festival, running June through August in downtown Grass Valley. Take advantage of the Mill Street certified farmers’ market, Thursday night concert series, and the Thursday night marketplace, all in downtown Grass Valley. Enjoy festival food or sit down at a street café, peruse art and savor some fresh produce – you’ll have all summer to try a little bit of everything! For specific dates and details, visit grassvalleyevents.com. • Let off some summer steam at the Loomis Train Depot Plaza on Thursday nights until August 9 at the Loomis Thursday Night Family Fest, running from 6-9.30 p.m. 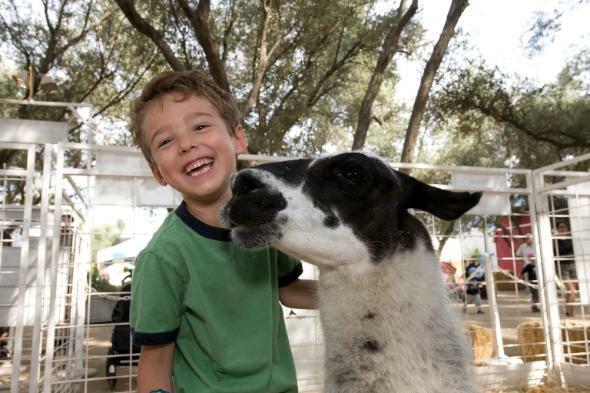 Enjoy the local farmers’ market, craft and business vendors, classic car cruise-ins, and a kids’ fun zone, as well as a variety of live music and dance groups throughout the summer schedule. For more information, visit loomisfamilyfest.com. • Beat the heat at Roseville Aquatics this summer! Family Nights begin June 11 and go through August 10, Mondays, Wednesdays and Fridays from 7:30-9 p.m. On June 14, join in as Roseville Aquatics and thousands of children around the world unite to set the Guinness World Record for the World’s Largest Swimming Lesson at 8 a.m.; and mark your calendars for Splash on September 8, an evening of art, food and spirits in support of at-risk youth. For more events and details, visit roseville.ca.us/parks/parks_n_facilities. • They don’t call it the Fountains at Roseville for nothing. Bring your kids and their bathing suits to the “Fountains” at Roseville and watch them get wet and wild at the Children’s Interactive Fountain. The interactive fountain kicks off when the barometer hits a consistent 70 degrees, at which point it will be operational from 11 a.m. to 6 p.m. all summer long, weather-permitting. Kids can splash and play in the fountain and dry off in the nearby playground. For details, visit fountainsatroseville.com. • In addition to offering SCUBA lessons, Dolphin Scuba Center in Sacramento was established as a swimming school and offers lessons. 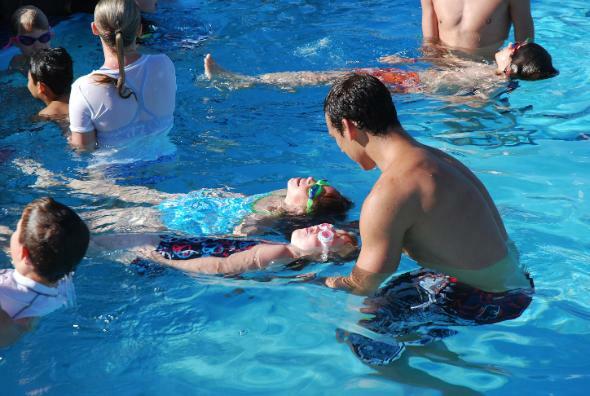 If you have children who are water-shy, you might find the patient instructors at Dolphin just the thing to get your child into the water confidently this summer. Or, maybe you’re afraid of the water yourself. Young or old, inexperienced or phobic, taking a plunge is a step in the right direction for a cool summer. Visit dolphinscuba.com for SCUBA lesson information. • Feeling energetic? 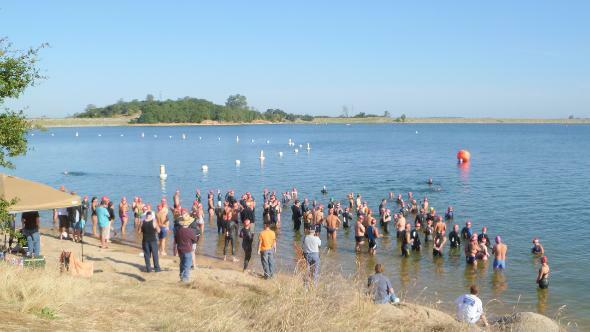 If so, head to Beal’s Point in Granite Bay on June 23 for the sixth annual Folsom Lake Open Water Swim (FLOW). FLOW was originally designed as a training swim for multi-sport competitors and novices alike, with 0.6, 1.2 and 2.4 mile distances, but don’t let that intimidate you: all are welcome. If you’re a swimming enthusiast in the Sacramento area, then you’ll definitely want to go with the flow this summer! For registration fees and event details, visit capitoladventureracing.com. • Seeking some thrills this summer? There’s plenty of rushing water and adrenalin to be had at Cal Expo’s Raging Waters Sacramento (rwsac.com) or SunSplash Roseville (golfland.com/roseville). Ride the giant waterslides from sunup to sundown! Alternatively, take advantage of Sacramento’s rivers at the beautiful American River Parkway or Discovery Park – bring a picnic, rent a raft, find some rapids or just paddle on the shore. Whether you’re thrill seeking on the waterslides or floating down the river on a raft, remember to be safe!